Modern businesses are embracing customer centricity by forgoing traditional business-driven strategies and adopting more customer centric marketing strategies. For a customer-driven business, keeping the customers happy is only a part of the equation. For a long-term success strategy, companies must understand current customer needs and wants, and ensure that the right internal and customer-facing strategies, processes, and marketing initiatives are in place to satisfy them. Today, one of the key challenges that organizations face is the difficulty involved in categorizing and segmenting the enormous amount of customer data available. While some companies lack systems and technology to segment and profile customers, others do not possess processes and operational capabilities to target them with personalized communications and experiences. But the most common, and perhaps the greatest barrier in implementing customer centric marketing strategy is the lack of a customer-centric culture in the organization. At most companies, the culture remains either sales-driven or product-focused. In many cases, customer centricity is considered a priority only for certain functions such as marketing. To successfully implement a customer centric marketing strategy, organizations must have a culture that aligns with it and leaders who deliberately cultivate the necessary mindset and values in their employees. How brands can incorporate customer centric marketing and selling practices in their organization? Interacting with the customer, directly or indirectly, helps employees to gain a better understanding of their customer needs. This practice of customer centric marketing also facilitates learnings from the past periods and plans for the next. Most organizations’ business models probably don’t allow for direct employee-customer contact, but leaders can still facilitate interactions by letting employees observe focus group, sales, and support calls, and participate in customer events including industry conferences and advisory board meetings. Managers will be motivated and equipped to cultivate a customer centric marketing culture if they know its’ impact on the results. So, companies must ensure that they establish and track the link between culture and customer impact. It is important for businesses to encourage employee engagement and satisfaction so that the employees are committed to improving the customer outcomes of the company. To encourage customer centric marketing or inculcate a customer centric culture in an organization, every employee must be made to understand the company’s customers. All employees must be given equal access to customer insight rather than restricting data to the sales and marketing teams. Businesses can start by creating a customer and employee experience team, to facilitate customer understanding. Employees must be encouraged to go to listening stations in the office where they can listen to customer calls and understand their feedback. And at every all-employee meeting, leaders must give an update on the company’s customer experience delivery. This is one of the key steps to promoting a customer centric marketing culture in the organization. It is vital for an organization to communicate customer centric practices and mindset as a clear priority to the employees. Not just in the case of existing employs, but even the new employee must be aligned to customer centric marketing strategies and practices. In today’s complex financial world, salesforce plays a pivotal role in maximizing revenue and systematically targeting new market segments. 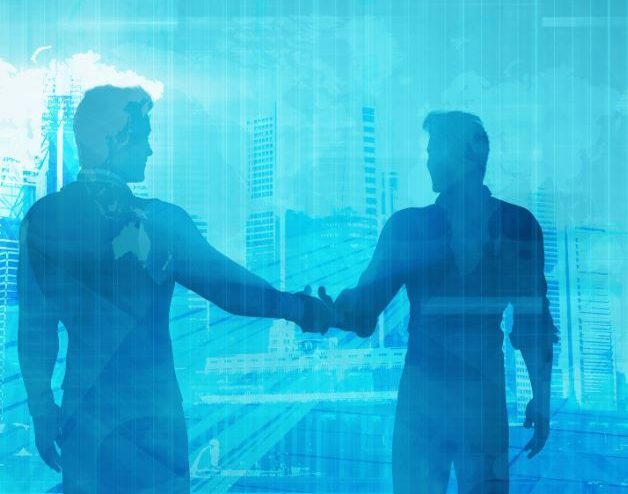 To achieve profitability and growth, financial services are relying on salesforce effectiveness to deepen customer relationships and reduce attrition of the customers. Large organizations across the financial services industry are also facing critical challenges while devising effective strategies to improve sales and target potential market segments. To combat such challenges, the financial services industry is leveraging the use of salesforce effectiveness. Salesforce effectiveness ensures the implementation of effective go-to-market strategies for businesses to identify and define potential buyer segments, in turn, increasing value proposition. In the financial services industry, businesses depend on salesforce effectiveness to drive performance improvements; thereby, increasing earnings and KPI’s around these target segments. Through robust salesforce effectiveness, organizations can further implement sales skills, improve sales call efficiency, and deliver bottom-line results. Quantzig’s sales force effectiveness helps the client optimize sales performance and target specific market segments in the financial services industry. The client can analyze historical data to assess the existing market potential and carry out future growth projections. In addition, salesforce effectiveness can assist the client to understand and improve sales results; thereby, maximizing the ROI. Improving sales is the ideal target for all the companies, especially in the financial sector. Keeping this specific challenge in mind, a leading financial services client approached Quantzig to improve their sales volume. The BFSI client was facing predicaments improving sales and increasing their market shares. As a result, they wanted to leverage the use of salesforce effectiveness to increase returns on the investment. The client further wanted to reach out to new markets and offer novel products and services in the financial services industry through an effective channel. The primary objective of the engagement was to build strong domain competencies and identify best practices in retail banking, corporate banking, insurance, and capital markets to enhance their offerings and boost market revenue. To improve sales and market shares in the financial services industry, the client approached Quantzig’s team of salesforce effectiveness experts. Quantzig’s team of experts carried out extensive research to identify the leading market stakeholders across the financial services industry. To identify the challenges hampering the growth of the financial services industry, the client further built a dashboard to compile data and information across leading financial services, financial institutions, and financial newsletters. 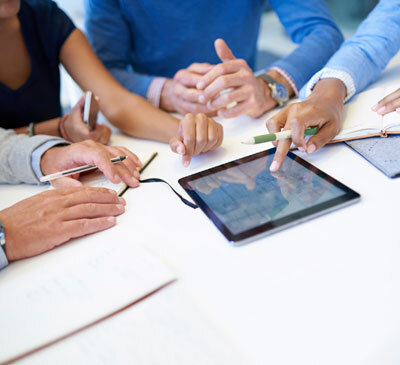 Want to know more about salesforce effectiveness? 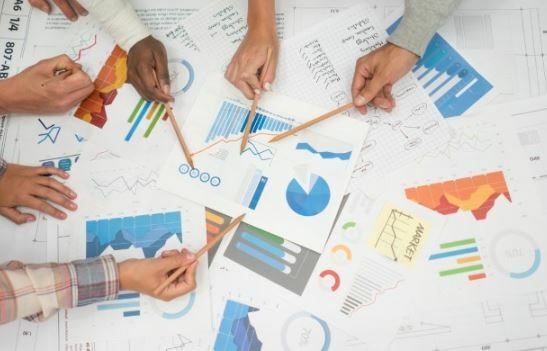 The latest sales force effectiveness analytics by Quantzig for a leading pharmaceutical manufacturer identifies different metrics to measure the efficacy of their existing sales force. The implementation of an effective sales force is one of the most valuable channels to understand physicians and customers’ requirements in the pharma industry. 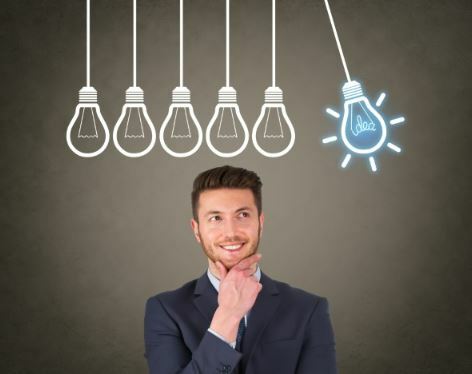 The optimization techniques adopted by the companies in the industry will help them in developing and restructuring sales models around physician access and specifying channels. 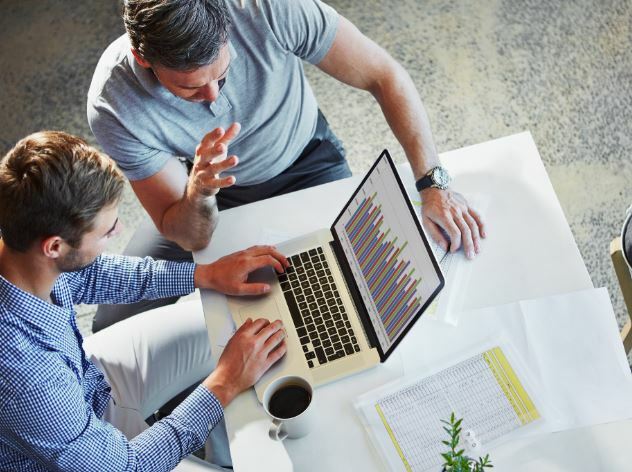 The adoption of sales analytics and other optimization tools by leading companies will support the sales force’s needs and find new opportunities to improve their productivity. These strategies are developed to align with the various strategic goals of the sales force and the business. This analytics further enhance the sales force decisions by supporting their ongoing sales needs and addressing all the issues of the business. 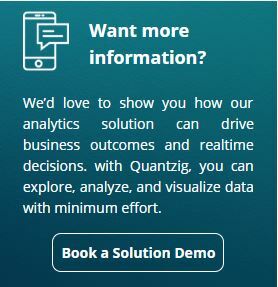 Quantzig’s sales force effectiveness analytics helps pharmaceutical companies allocate more promotional efforts and target new types of customers. The study also improves the quality of decisions made by managers, salespeople, and industry leaders. The increasing focus on promotions and R&D campaigns are raising the requirement for business to streamline their operations to align it with development goals and the customer preferences. The companies in the industry are also focusing on developing effective sales strategy, designing incentive compensation plans, sizing and structuring the sales force, setting goals, and managing sales performance to build stronger customer relationships and increase their sales revenue. Customer relationship management (CRM) is essential for sales force optimizations. Effective CRM models will help pharma companies to evaluate and assess their customer base, expand into a larger target group, and retain the maximum number of end-user. The introduction of digital selling platforms and smart direct marketing efforts will optimize the sales force and increase their productivity. CRM is important to build strong and long-lasting relations with the consumer and also to understand the buying preferences and demand trends in the market. Successful CRM models help the sales force deliver customized information to both the customer and physician, thereby increasing the interaction levels between the company and end-user segment. The implementation of multi-channel service channels will help companies to optimize the allocation of the sales force and generate high ROI. These channels are designed to target the needs of the end-user segment and help sales force to provide effective services to the healthcare professionals and customers. The introductions of multi-channels help companies to implement service standards across different media and offer quality customer services through different platforms. These channels are also used for direct interaction with the customer and proactively offer solutions that may arise in the future. The complete case study on sales force effectiveness analytics for a leading pharma company is now available. Quantzig’s recent study on sales force performance optimization for a leading insurance provider in the US assures three-fold improvement in agent satisfaction through retention and training programs. Building a strong sales team is essential to promote healthier customer relationship and stay competitive in the global market. Insurance companies are adopting various retention strategies to motivate, empower, and recognize the performance of their sales staffs. Developing effective employee productivity and engagement activities will ensure better performance from the sales staff. A well-defined retention strategy improves the sales force productivity and ensures that the customers avail their products on a regular basis. At Quantzig, the sales force performance optimization team provide solutions to optimize sales force performance and agent performance on a real-time basis. The researchers offer actionable insights on sales growth opportunities and agent effectiveness by utilizing machine learning algorithms to examine the patterns that exist across internal and external data. Many organizations are developing performance evaluation metrics that assesses and measures the effectiveness of the sales force. These methodologies help the companies understand the problem areas and address the issues at the source to increase the individual’s or team’s performance. By building strong metric systems monitoring performance, addressing training needs, analyzing agent’s behavior, and gathering information on sales volume becomes easier. Moreover, it helps organizations to deal with agents from different backgrounds and solve issues efficiently. With the advent of Internet and growth of e-commerce models, it is pertinent for organizations to invest in the development of CRM strategies. Companies are implementing SaaS-based and cloud computing software to expand their relationship with the consumers. Innovative CRM tools will create a strong relationship with the supplier and consumer and will allow companies to understand the individual needs and requirements of each end-user. Additionally, a good CRM model ensures proper communication flow and enables suppliers to provide excellent customer services. By using mobile devices and Internet building, productive CRM models will become effortless. Employing sales force from various backgrounds, culture, race, and gender will diversify the organizations and increase the flow of ideas and designs. The market is also stepping towards hiring millenniums, which results in a younger and more active staff team. Hiring employees from different backgrounds will promote the trend of shorter sale cycle and encourage more interactions with consumers. The complete case study on sales force performance optimization engagement for a leading insurance player is now available.